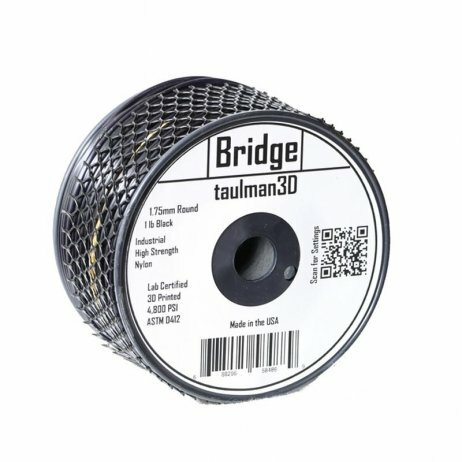 Bridge from Taulman 3D is a variant of 645 nylon which helps avoid prints becoming detached from the 3D printing plate. It retains the same properties of strength and flexibility. The spool contains 450g of Bridge Taulman 3D 1.75mm filament. 27,50 € Tax incl. 22,92 € Tax excl. Bridge filament from Taulman 3D is a good compromise between nylon and ABS. With an affordable price, it is much easier to print than nylon while retaining the same properties.